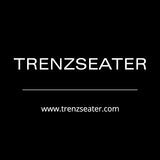 T R E N Z S E AT E R TRENZSEATER is dedicated to offering you the very finest for your home, providing you with exquisite window furnishings distinguished by an international style which is modern, sophisticated and timeless. TRENZSEATER has instore drapery and blind displays along with an extensive international fabric collection to ensure you have access to the best fabrics and making styles available. TRENZSEATERâ&#x20AC;&#x2122;s experienced sales & interior design consultants offer professional, expert advice on your window furnishing requirements, who can also visit in-home for consultations. Our service extends from consultation through to quoting, measuring and installation. We look forward to your visit to discuss your window furnishing requirements. DRAPERY TRENZSEATER exudes modern elegance with its international collection of luxurious woven textiles for both your drapery and upholstery requirements. Exquisite fabrics ranging from relaxed linens, classic tailored stripes, sumptuous silks through to glamorous velvets and damasks, demonstrate our commitment to excellence in every area of your home. Our interior design expertise extends to all of your drapery requirements, from the right fabric selection to the measuring and making of your curtains, through to the detailing finishes including rods, finials and tiebacks. TRENZSEATER is proud to present these distinguished international brands to you in one of the most comprehensive collections available in-store. Drapery offers the opportunity to provide a luxurious, softer ambiance to a room, whether it be a lighter feeling sheer or a full drape, a single track or a double track, its presence and detail finishes a room. Drapery hardware is sourced internationally from the finest suppliers offering an extensive collection of tracks, rods and finials. 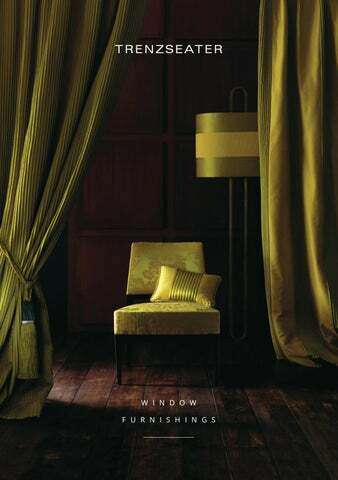 Drapery hardware provides the finishing detailing to all sophisticated window furnishings. Motorised drapery tracks are the ultimate in luxury, allowing your drapery to effortlessly and quietly draw back without compromise. Motorised tracks can also be integrated into your home automation system to give a seamless service that you can even control remotely when you are not home. Tiebacks are an essential detail to finishing your drapery, they offer sophistication and elegance as well as another layer of interest. We have an extensive collection of European tiebacks which are available in a number of styles, finishes, colours and complimentary accessories. Luxaflex® Window Fashions product range includes roller blinds, softshades, pleated blinds, shutters, venetians, exterior blinds, awnings and specialty curtain tracks. Visit Luxaflex® Window Fashions displays in-store at TRENZSEATER where we can offer you professional advice or arrange to meet with you in-home to discuss options. TRENZSEATER is a specialist in window furnishings and providing Luxaflex® product demonstrates our commitment to ensuring you are exposed to the very best for your home. Luxaflex速 Roller Blinds and Sunscreens are simple, decorative and functional. A choice of a single or twin bracket system, which allows you to combine two shades in one for a day and night solution. Styling can be consistent throughout your home, even though each window has a personalised prescription. Available in an extensive range of premium blockout fabrics, innovative light controlling sunscreens and a number of motorised configurations. Duette速 Shades are a premium blind with a pleated, honeycomb structure, with two or more layers of pleated fabric bonded together to form compartments (cells) that have superior insulation properties. Duette速 shades have a soft, elegant look and are available in a collection of fabrics to offer you a blind with a sophisticated elegance and performance. Automation can be hard wired, wireless or battery operated. Have ease of use with remote control or phone apps to open and close drapery and blinds. You can have warmth, privacy and sun protection with a push of a button. Have the product on timer so you don’t even have to be home! Sit back and relax and let automation do the hard work for you. Country® Woods Shutters provide a timeless beauty with the enduring craftsmanship of real timber. Custom-made to your requirements in a range of exclusive lacquer painted finishes and slats, varying blade sizes and are available as sliding, bi-folding or hinged. Country® Woods Shutters are both architectural and practical and will offer you a classic aesthetic. LuxaflexÂŽ External Sunscreens and Awnings provide the best solutions for New Zealand conditions, maximising the usefulness of your outdoor areas. Providing protection from solar heat, wind, rain and insects. T R E N Z S E AT E R INTERIOR DESIGN At TRENZSEATER we have tailored a specialised interior design service for clients who wish to have the expertise of professional, sound advice on the development of their residential or commercial interiors and the selection of furniture, lighting, rugs and window furnishings.